Netflix content chief Ted Sarandos confirmed that season 6 of “House of Cards” will air. It will not feature star Kevin Spacey, who was fired by the company following sexual harassment and assault allegations in October. It will be eight episodes and star Robin Wright. 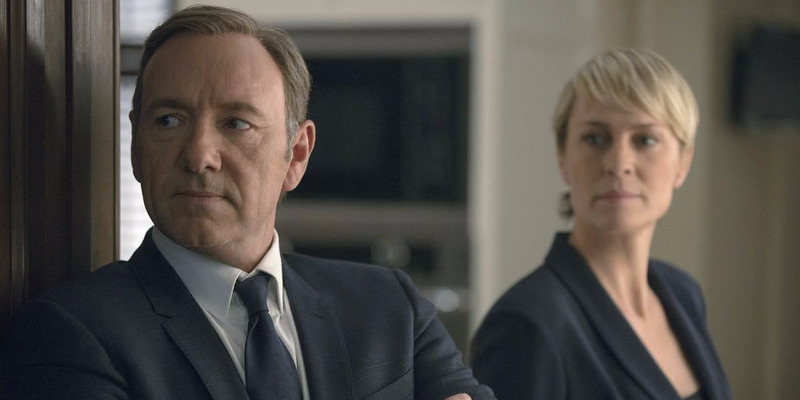 Ted Sarandos is promising a conclusion to the “House of Cards” story. The chief content officer for Netflix told the audience at UBS’s Global Media and Communications Conference in New York on Monday that season six of the streaming giant’s landmark show will happen. “We were really excited we could get to an agreement … for the conclusion of the show,” Sarandos said. Production on the show halted in October following the sexual harassment and assault allegations against star Kevin Spacey. The season, which will mark the show’s finale, will go forward without Spacey. The Oscar winner was fired by Netflix soon after the allegations became public. Sarandos confirmed that the final season would star Robin Wright, who plays Claire, the wife of Kevin Spacey’s character, Frank Underwood. It will be interesting to see how the show will address what happened to the Frank character. Sarandos also said at the conference that the final season will be eight episodes long (all the other seasons have had 13 episodes). Production will start back up in early 2018.